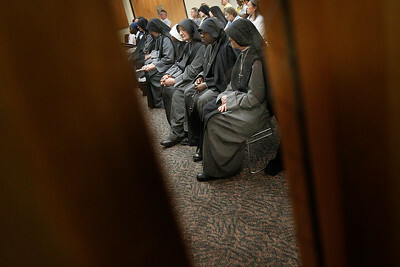 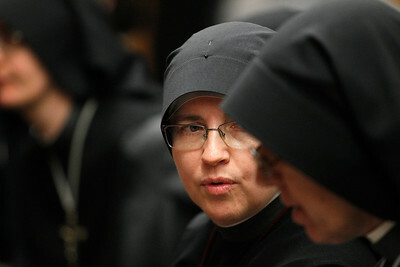 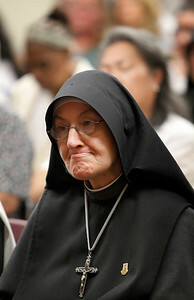 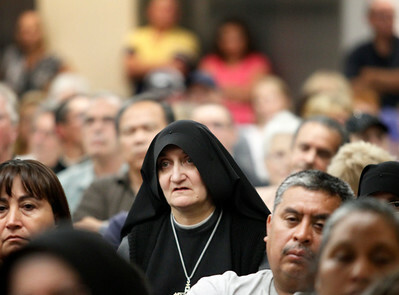 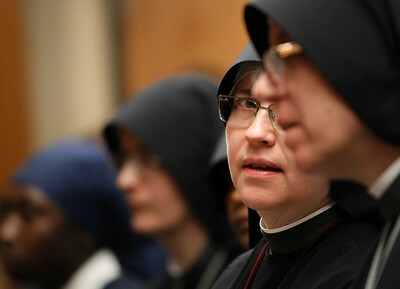 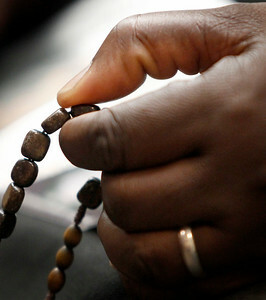 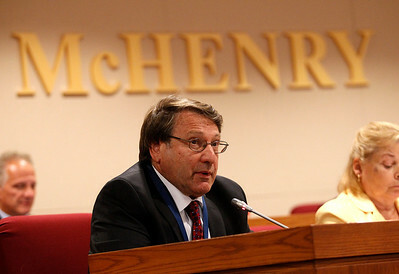 Nuns with the Fraternite of Notre Dame sit silently inside a McHenry County Board meeting on Tuesday, September 15, 2015 at the McHenry County Administration Building. 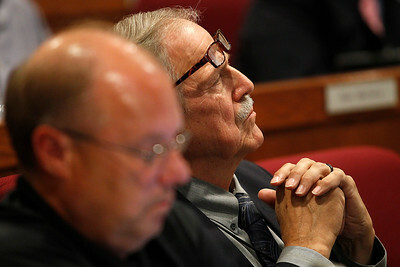 The congregation was hoping to pass a conditional use only or a variation only zoning petition for the building of a gift shop, a winery, and a nursing home, but was met with 20 votes for no with only three votes in favor. 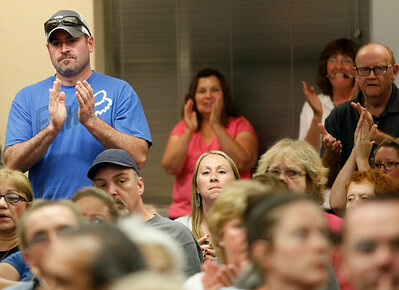 Neither motion passed, which resulted in a large eruption of applause from residents opposed to the petitions.